Information is power, particularly in this age. In the quest for executive talent, some recruitment firms assume that all the information that they require about a candidate can be found in the candidate’s online profile. This conclusion is often arrived at following the delegation of the research work to someone who has little or no experience in research. As a result of this, the executive research is done haphazardly. The executive mapping process is characterized by gaping holes. The candidate sourcing process lacks discipline hence the recruitment firm ends up missing out on the best candidates who are hidden in plain sight. The digital age makes research even more difficult because recruiters need to have the ability to distinguish between the noise and the signal. While there are many executives who are a click away on LinkedIn, there are very few interested, qualified and passionate executive candidates. This problem arises if there are multiple decision makers with conflicting views on the executive search process. For instance, the co-founders might consider a candidate’s experience more valuable while the board members consider the candidate’s educational background more important. Whether the executive search is being carried out by an external party or it is done in-house, conflicting expectations within the top leadership of an organization are bound to interfere with the process. Sometimes, it is not clear whether the organization desires to have a leader who will have an impact on revenue growth as soon as possible or a leader who will set up operational procedures that will translate into revenue growth in the long term. The conflict in expectations can arise from an unrealistic desire to have a candidate who can solve all of the company’s problems. This problem is an extension of the aforementioned problem (refer to no. 2). 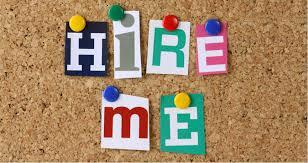 A company begins an executive search, creates a job description, searches and interviews several candidates. Mid-way through the process, the organization realizes that there are aspects of the executive role that were not covered in the initial job description. A quick shift in gears takes place in order to correct this. In the process, precious time and money is wasted. To address this problem, firms need to recruit external recruitment firms to help them in the identification of priorities and drafting of a job description. An organization does not have to retain the recruitment firm after this. Consulting an external party gives the organization to save time and recruit more efficiently. Sometimes, organizations simply drop a post on their LinkedIn profile for an executive role and expect that executive talent will simply show up at their doorsteps the next morning. This often happens whenever an executive is leaving the organization or the company is launching a new service or product that requires a leader to spearhead the process. Last minute executive hires often fail to meet the organization’s expectations. On average, an executive search can take up to 2 months from the signing of the contract to offering the letter of acceptance. If you know that your CFO is leaving in May, do not wait until mid-April to begin the process of recruiting a new CFO. Give your organization and your recruitment partner time to find, engage, interview and onboard talent that meets the needs of the organization. We at Crystal Recruitment make it our business to find the right talent for your company as we are a leading Executive Search Firm in Kenya. Talk to us today and let us help you find the right talent.